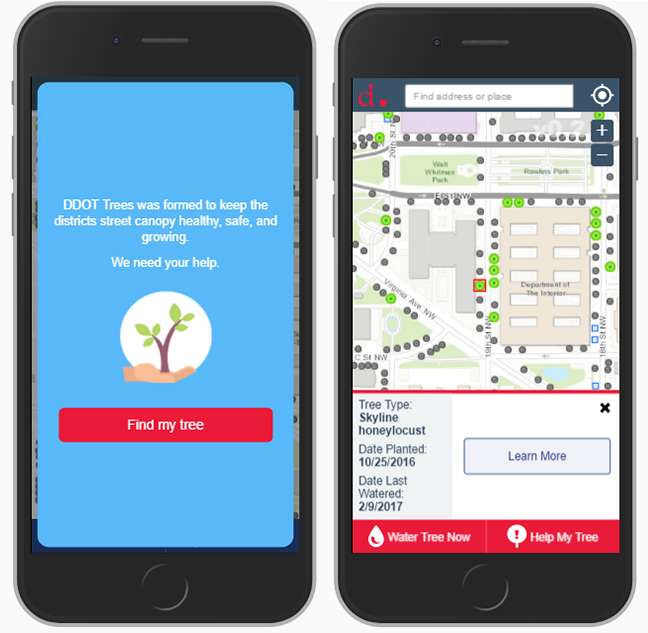 Blue Raster and the District Department of Transportation (DDOT) worked together to create and launch a mobile-friendly DC Tree Watering Application. Keeping trees green in our city is a full time job for contractors, but their efforts can be significantly augmented by community involvement and the public’s willingness to water trees during the hot, dry summer months. The first two years of a planted tree’s life are critical, and every watering event increases the survival rate of the trees. The application is powered by spatial data services hosted by the Office of the Chief Technology Officer (OCTO) ArcGIS Server, and a webmap in ArcGIS Online that can be easily updated or customized by DDOT in the future. 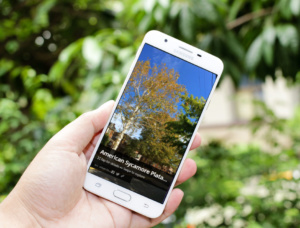 A story map is also included that gives further information about each of the tree types in DC. Watering events or reports that trees need help are recorded by the application and used by DDOT to determine which trees may need additional attention. The option to upload a photo of people caring for their trees will let the community show DDOT how much they appreciate their urban canopy as well as people’s willingness to help keep our trees happy and healthy for generations to come. 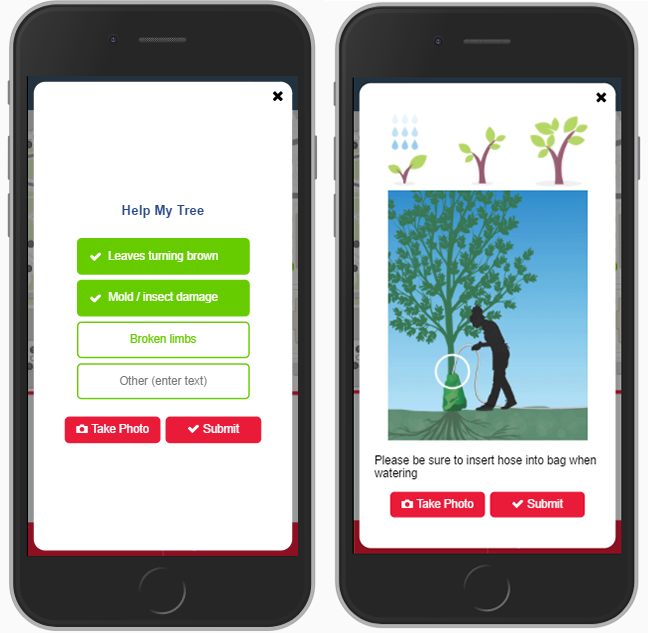 Check out the DC Tree Watering Application, find your house, and see if there’s a tree in need outside that could use your help!